For those of you who are new to my little bloog (no I didn't spell that wrong. I like to pronounce it bloo-guh.. I'm weird) I started off as a beauty blog and make my way into nail polish, both subjects have been a growing obsession of mine. I've dabbled into fashion but I am the least fashionable person you will ever meet in your life. My blog is a little over 3 years old, even though if you look back you wouldn't know that because when I switched from blogger, to wordpress and then back to blogger, I lost my earlier posts. Enough about me though. 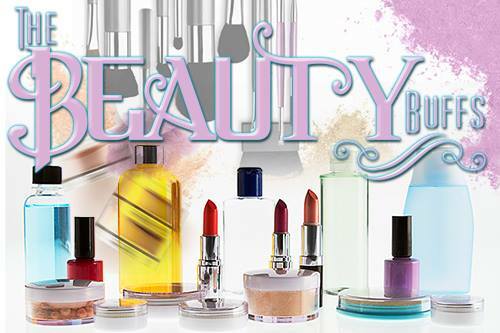 I want to welcome you all too the first post of many of the group The Beauty Buffs. This group was started by Norelis of Fierce Makeup & Nails. I can't thank her enough for inviting me to be a part of this absolutely amazing group! There is a wide variety of bloggers in The Beauty Buffs; makeup, nails, fashion, lifestyle... you name it, I'm sure one of us posts about it. The Beauty Buffs will be posting every other Wednesday, starting today with the topic of Pastels. What I particularly like and I'm sure you will enjoy is that TBB's topics are open to interpretation. Meaning we're not all going to posting the same general thing. (ie it's not all going to be nail polish, etc) I think that's what really makes this group unique! Also, I'm going to say that I feel like I am in with blogging royalty! Holy wow, I'm absolutely honored and fan girled insanely hard when I saw who all was in the group! With the first topic being Pastels, I was at a total loss. I don't think I own a single pastel thing. I've got polishes that could lean towards pastel, but not really nor do I have any pastel makeup. So instead of going shopping because I'm trying to conserve money, I decided to make my OWN pastel nail polish! It's really easy! You're pretty much frankening (mixing polishes) your own polish. I originally was just going to lighten a couple of polishes, but they weren't really pastel, just lightened. Thank you Kirby :P. She's my pastel guru so I had to ask for her help on creating a good pastel. I'll show you the versions I made, but ultimately I only have one that comes pretty dang close to being pastel. Okay, enough of my rambling! Now the amount of white polish you use definitely depends on how light you would like your pastel polish. For an entire bottle I used maybe 6 drops. I also added more green (which I'm sure you can see) then I did purple to get my desired shade. I wish it would have been more green but it is what it is. 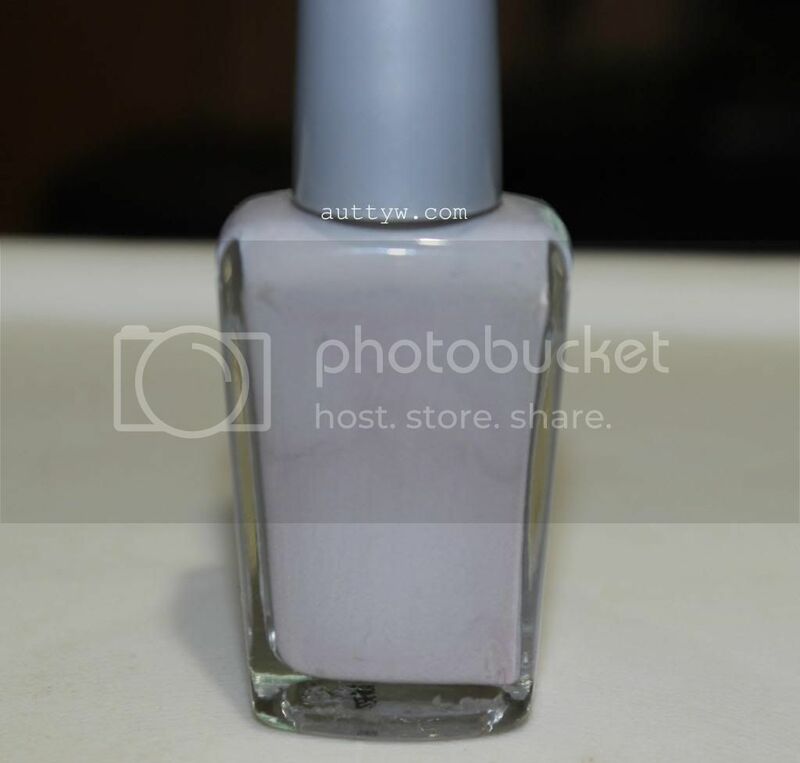 I now have a full bottle of this gorgeous pastel polish that I made without having to go out and search for one! It's honestly very simple to franken your own pastel or really franken your own polish. It's all about mixing other polishes together! Frankening is different than making indie polishes. There's an actual science to making indie polishes. Please excite how shoddy/sloppily I applied the polish, with it being 3:26am I was kind of in a hurry to get these pictures done D: ... I'm sure you can see the smudges etc. :P You live and learn! The shade itself is a gorgeous pastel purple! I'm really pleased with how this turned out! I love frankening my own polishes. It's kind of therapeutic for me. I used to have a giant collection of custom made polishes, but I got rid of them all but a few. I'm thinking of putting this up for sale in my blog sale, but we will see what happens. Have you made your own franken polish before?! Would you ever consider doing it?! Thank you so much for reading my post and I can't wait to do the next Beauty Buffs post! You made your own pastel! I love it! What a pretty pastel purple! This is so pretty! I also love the pastel green orly polish! omg you made your own pastel polish??? super crafty, i wuv it! Frankening is what made me want to start my own indie line. I love it! so awesome! frankening is always so much fun! Thank YOU for the help! :D I linked your blog at the beginning. Thank you! It was a bit of a pain to get the color correct but it turned out a lot better than I thought! It's actually a LOT of fun if you have the empty bottles! Thank you! It's Jealous, Much? I was told it wasn't "pastel enough" so I just made my own. Thank you! :D I'm actually surprised how good it came out! Thank you! It definitely is! I do it sometimes when I get really bored. I really love the color you created, so nice and delicate! Turned out awesome! I would have no idea where to begin when it came to making my own polish. It's a skill! i absolutely love that you frankened a polish, such a creative way to make up for the lack of pastels. i don't have too many either! Who told you it wasn't pastel enough??? I want to hear! This makes me want to mix up some new shades! Oh girl, frankening is REALLY easy, it's when you're buying the pigments and bases is when it becomes hard. Thank you so much! :D I don't know why I don't have more pastels! Well, she said it wasn't pastel enough for her, which is why I wound up making my own. It was a whole self doubt thing. Thank you so much! I'm really pleased with how it turned out! It's a lot of fun! If you do, I definitely want to see them! This is so clever! I can't remember the last time I frankened my own shade, it's so fun to create something completely unique. I love the shade you created! Thank you so much! :D it's been since probably Christmas since I made my last one. I'm not even sure what I'm going to do with this polish yet. Yay for frankens! I don't even remember every frankening a polish but I'm sure I did. It came out great. Thank you! You should try it! I'm sure you could create something absolutely amazing! I've got a really pretty deep red holo that I made. Oh shush! You should try it one day! It's actually a lot of fun to come up with unique and new colors! what a cool post AND polish you did! love this! !